Now that CCTV systems are more accessible and cost-effective, they’re also becoming more com-mon, especially in residential properties. 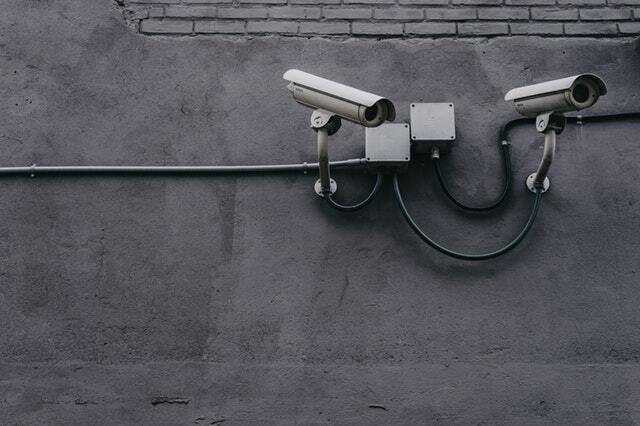 Short for Closed Circuit Television (CCTV), when we refer to CCTV systems, we’re talking about a system of security cameras set-up within a location – each of the cameras is connected to one central monitoring system. As always, it’s best to do your homework when investing in a CCTV system and of course, to seek out expert help. Remember, what may appear a cheaper way to go initially, is likely to wind up be-coming more expensive and ultimately, ineffective down the line. Here are 5 things you need to know about CCTV. Is it possible to set-up a CCTV system yourself? Yes. Is it advisable? No… hear us out. Peace of mind is priceless so when you have your CCTV system professionally installed, you don’t have to worry about mistakes made during the installation process. We love a little bit of DIY ourselves too but in this case, it’s probably best to leave installation to security experts (like us!). You have two options when it comes to CCTV systems installation: hardwired or wireless systems. We always install hardwired systems – we never install wireless systems because at this stage, they’re all low quality. Hardwired cameras are directly wired to the monitoring system. Depending on the business or household’s unique requirements, we’ll use classic analogue cameras that use coax or alternatively, the latest megapixel IP cameras, which use cat 6. When the highest quality is necessary, we’ll go with mobotix IP cameras. This one’s pretty self-explanatory: there’s no point in having all of these cameras and footage if the vision you’re getting on the cameras is too low quality to see clearly. What you’re going to pick-up visually doesn’t just come back to how many cameras are installed, you need to think about qual-ity. Our team tends to opt for the cutting-edge Mobotix range as it’s a brand we use, know and trust thanks to its solid track record with our existing clients. While you want to ensure you’re capturing the key areas you need to, you never want to place cameras in private spaces. Doing so may see you in violation of the law. So forget about places such as toilets and so on but do think strategically about the areas you need to cover. Our team takes the time to listen to your unique business needs and requirements before putting together a security plan to discuss with you. Generally speaking, you want to cover areas where money is be-ing exchanged (cash registers), any valuables are stored as well as entry and exit points. We understand that most people look for the best value for money options out there. It’s important to realise that it’s always wise to invest upfront in a good quality CCTV system. We’ve lost count of how many times we’ve been called in to fix CCTV systems and more often than not, that means starting from scratch. Unfortunately, that equates to more money for people in the long-run! Interested in learning more about how a CCTV system might benefit your residential or business property? Contact our team of experts for advice you know you can trust.